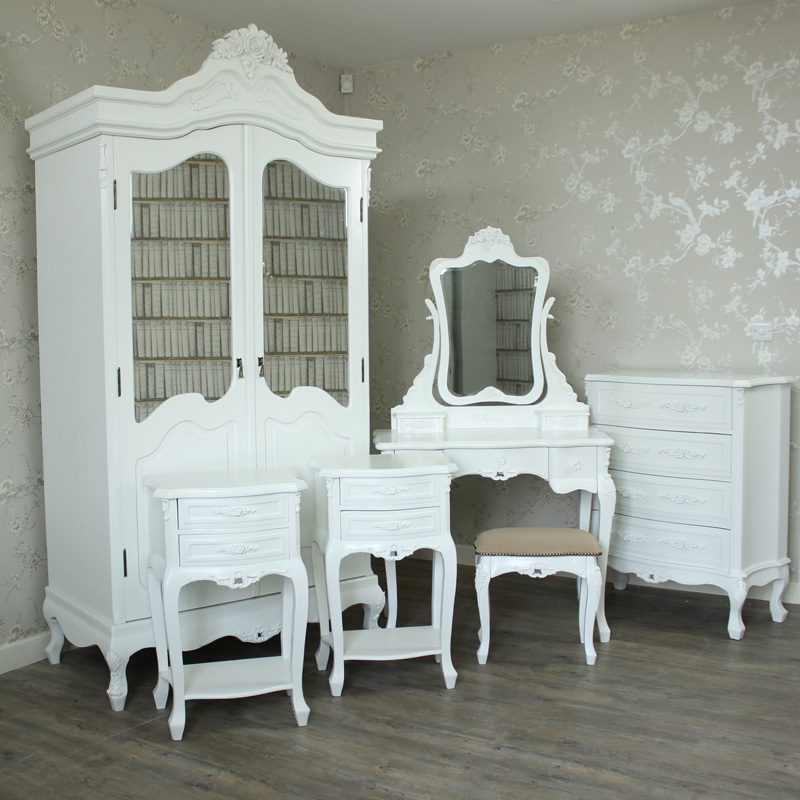 Luxurious white bedroom furniture set featuring large double wardrobe, dressing table with tabletop mirror & stool, large chest of drawers & pair of bedside tables. 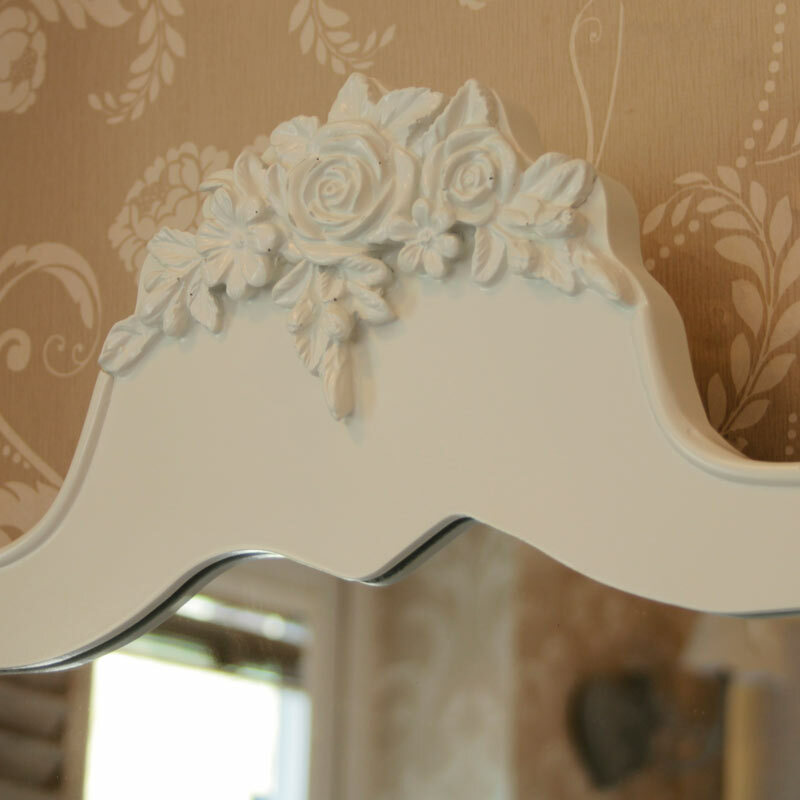 Classical vintage French design for the luxurious and elegant bedroom. 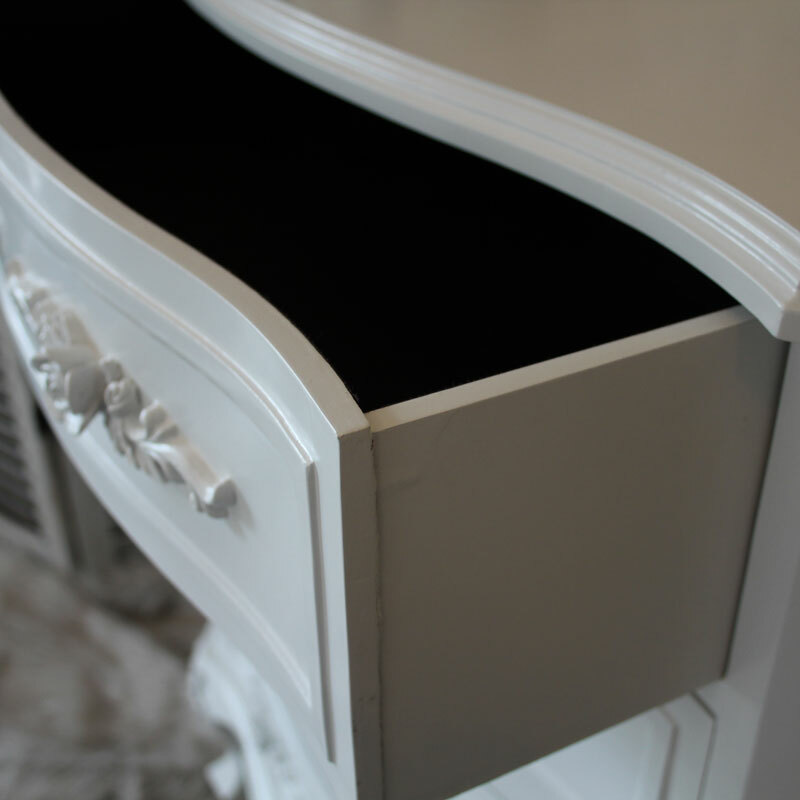 Stunning bedroom furniture that epitomises the French style. 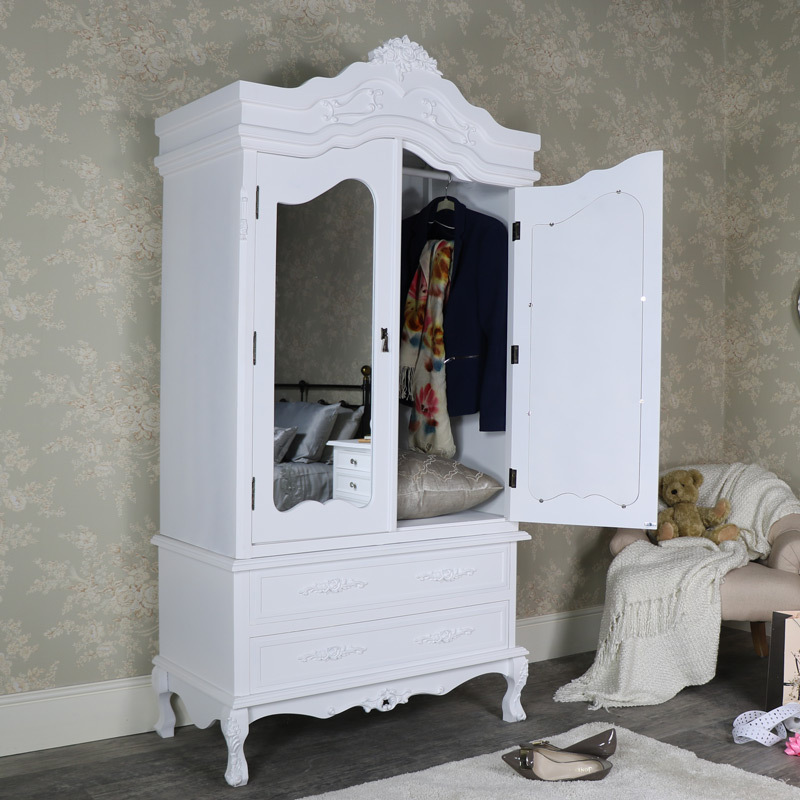 The wardrobe offers excellent clothing storage with hanging rail & drawer storage along with the chest of drawers. 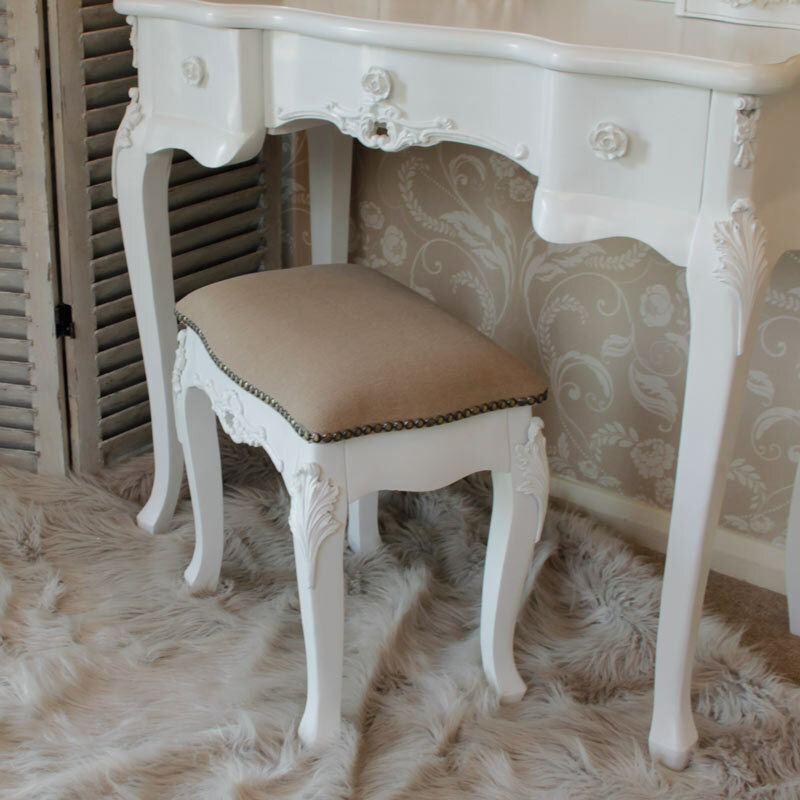 The dressing table comes with a large tabletop mirror and cushioned stool for comfort. The set is finished with 2 bedside tables to complete the set. 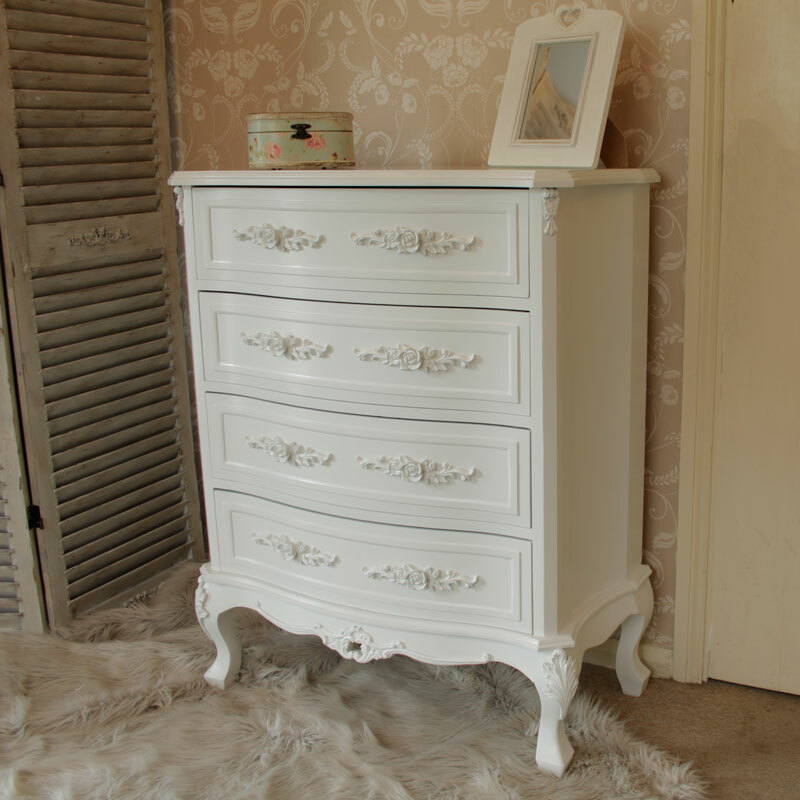 With the dressing table, mirror and stool set with a chest of drawers, wardrobe and 2 bedside tables. This set has lots of storage for clothing and accessories. 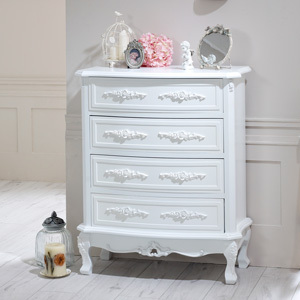 Luxurious white bedroom furniture set featuring large double wardrobe, dressing table with tabletop mirror & stool, large chest of drawers & pair of bedside tables. 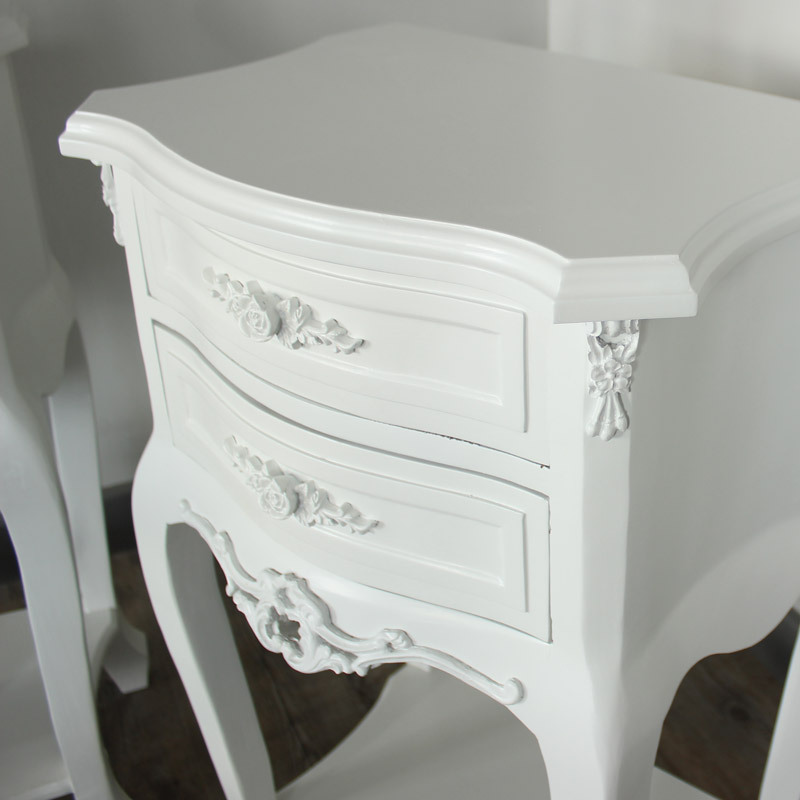 Classical vintage French design for the luxurious and elegant bedroom. 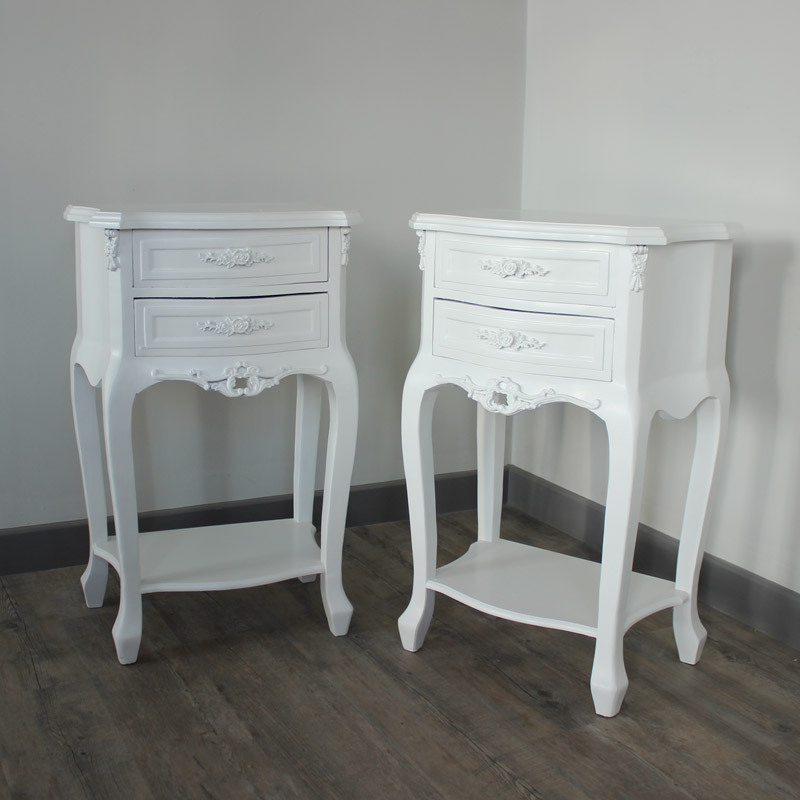 Stunning bedroom furniture that epitomises the French style. The wardrobe offers excellent clothing storage with hanging rail & drawer storage along with the chest of drawers. 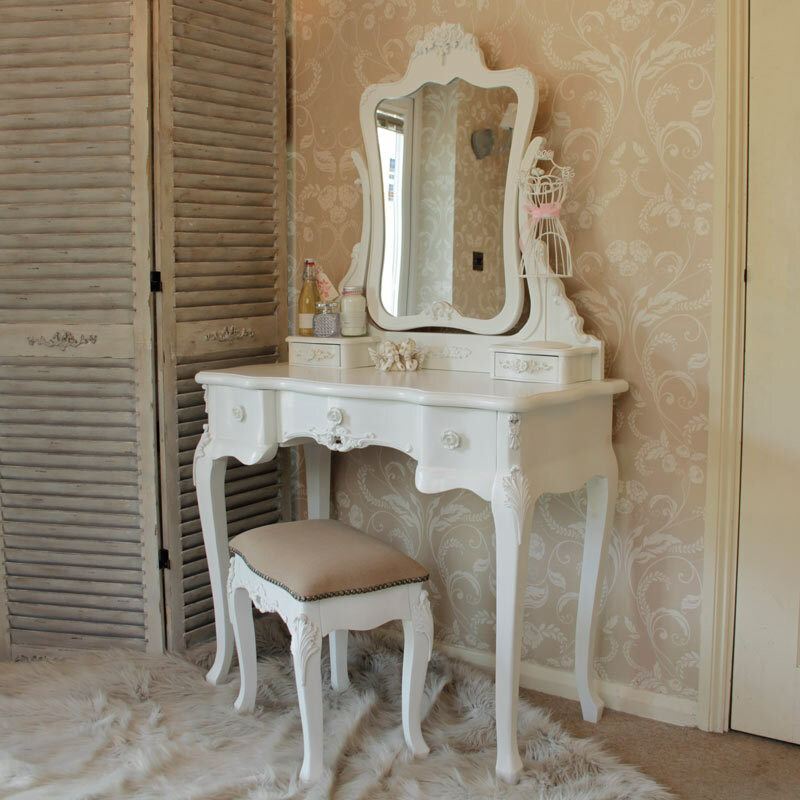 The dressing table comes with a large tabletop mirror and cushioned stool for comfort. The set is finished with 2 bedside tables to complete the set. With the dressing table, mirror and stool set with a chest of drawers, wardrobe and 2 bedside tables. This set has lots of storage for clothing and accessories. Most of the items in this range are assembled, such as the wardrobe, chest of drawers and bedside tables, other items such as the dressing table, stool and mirror do need some minimal assembly.